Lindsay has been practicing at the Bar in the North East since completion of her pupillage and has since become a specialist family practitioner who has successfully built her practice in Public Law and Private Law Children Act work, Adoptions and Injunctions. 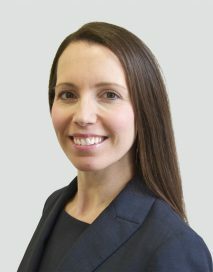 She is currently instructed by solicitors across the North East on behalf of both Applicants and Respondents in Public and Private Law proceedings including Local Authorities, parents, extended family members, the Official Solicitor and on behalf of Children’s Guardians through CAFCASS legal, NYAS and in cases where it is necessary to appoint a Guardian ad litem. She has attracted a reputation for her excellent client care. Lindsay now regularly represents parties at a range of hearings in the Family Proceedings Court, County Court and the High Court including fact-finding and final hearings in cases where issues have included significant emotional and physical harm, sexual abuse, removal from the jurisdiction, and in cases where there are serious allegations of non-accidental injury, fictitious illness and death of a child. Lindsay takes instructions in respect of applications brought under the Forced Marriage Protection legislation. She has experience of appellate work and has appeared at the Principal Registry of the Family Division and at the Court of Appeal in respect of Care Proceedings. Prior to practising as a barrister and upon completion of her education, Lindsay worked in the courts on behalf of a Newcastle firm of solicitors in all aspects of family and criminal law.